Any day now, I should see massive baby grape dieoff. Until then, I give you the latest photos. The tallest seedlings are seven inches tall and growing like mad. 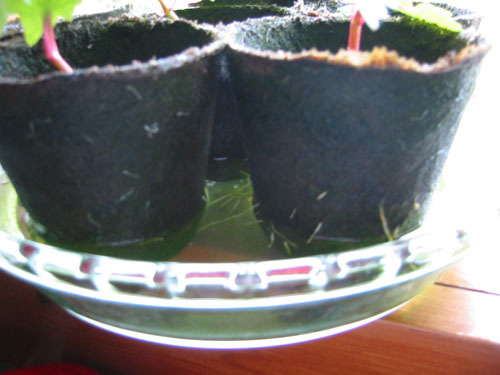 The ones that are failing to thrive are a couple inches tall and have not set out their second set of leaves. I am going to have to transplant some of these guys soon: they're pushing roots through the peat pots. May be time to get them some official plastic pots and real saucers rather than pie pans. 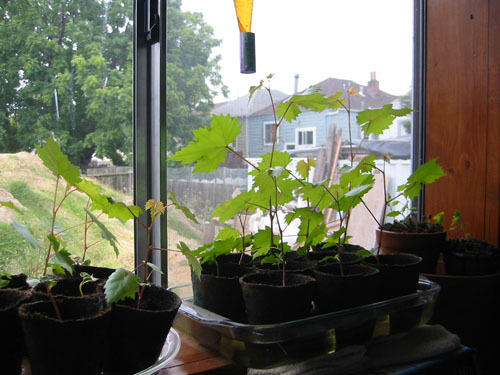 With my luck there will be no as-predicted dieoff, and I will end up with twenty adult grape plants that I have to find homes for in the garden, or euthanize.